The Esperanza High School PTSA invites every Parent, Teacher, Student and community member to join with PTSA, as we work to make Esperanza High School the best it can be for out students. Standard Membership $19 Receives 1 membership and various offers from local merchants, including Chick-fil-A. Warrior Membership $60 Receives 2 membership and various offers from local merchants, including Chick-fil-A. Aztec Membership $120 Receives 3 memberships, an Esperanza sticker and various offers from local merchants, including Chick-fil-A. 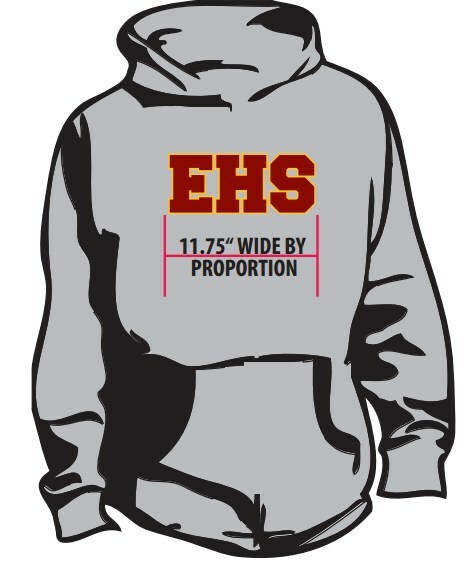 Cardinal Membership $175 Receives 3 memberships, an Esperanza sticker and various offers from local merchants, including Chick-fil-A, and 1 Esperanza sweatshirt (pictured above). Gold Membership $250 Receives 4 memberships, an Esperanza sticker and an Esperanza magnet, various offers from local merchants, including Chick-fil-A, and 2 Esperanza sweatshirt (pictured above). Thank you for supporting Esperanza High School Students and Faculty! Click the "Buy Now" button below to become a member TODAY! All memberships and donations are tax deductible!